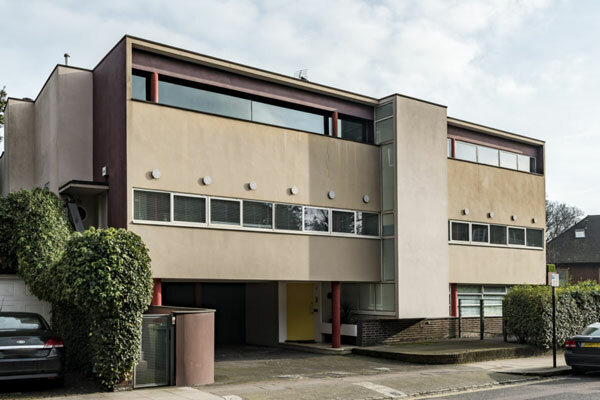 A significant build, the 1930s Connell, Ward & Lucas-designed 66 Frognal modernist house in London NW3 is looking for a new owner. This is a very significant piece of architecture. 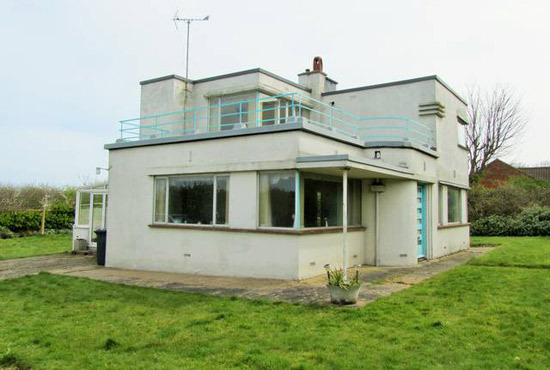 A grade II*-listed house dating back to 1938, it was described by none other than Ian Nairn as the ‘ ‘best pre-war house in England’, which is some accolade. 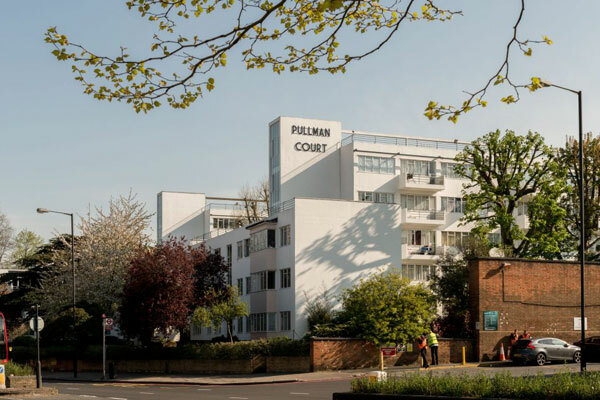 Built in the international style, 66 Frognal was the last residential project undertaken by the trio and according to the agent, is one of few remaining examples of the international style in Britain. Of course, there are other Connell, Ward & Lucas houses still around. 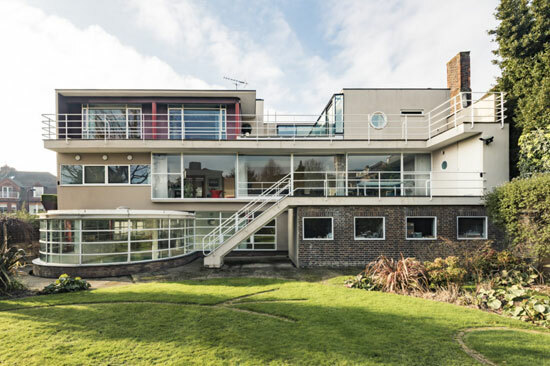 One in Kingston Upon Thames went on the market late last year, The Saltings modernist property in Hayling Island, Hampshire appeared earlier that year and the grade II-listed property in Rickmansworth, Hertfordshire the year before. Lovely houses all, but this one just has the edge. 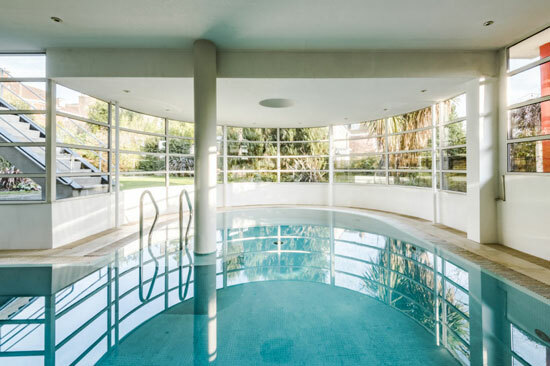 66 Frognal is located on the corner of Frognal and Frognal Way, which is a short walk from the centre of Hampstead Village and positioned to offer some lovely, elevated views across London. 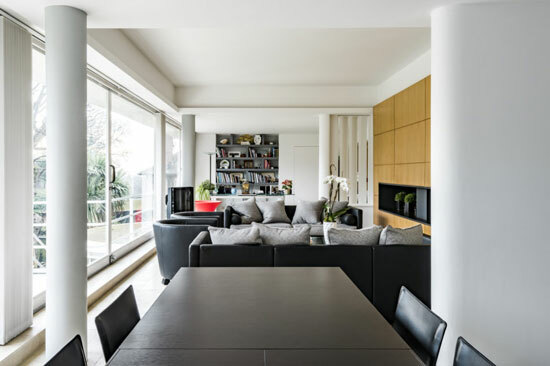 But like many modern houses, time hasn’t necessarily been kind to it and as a result, the current owners commissioned Avanti Architects to design and undertake a process of repair, upgrade and alteration work to bring the house back to its best. That project took four years to finish and as a result, it was long-listed for the RIBA Stirling Prize, receiving a RIBA Conservation Award. 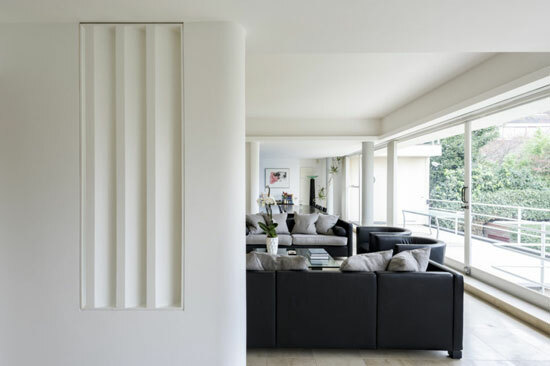 It the name Avanti Architects rings a bell, it is perhaps because it undertook work on the stunning 1930s Oliver Hill-designed Cherry Hill art deco property on the Wentworth Estate, Surrey, which featured on the site back in 2018. 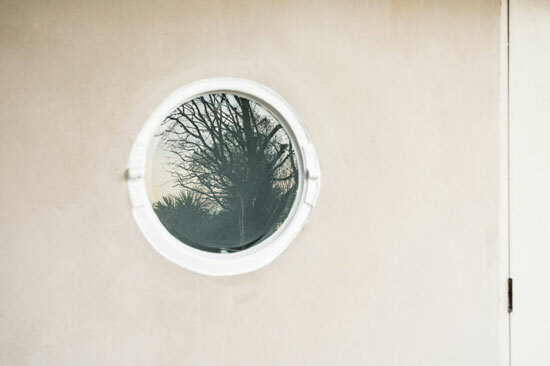 The original design of 66 Frognal was heavily influenced by Le Corbusier and incorporates all of his Five Points of Modern Architecture. In short, it stands raised on pilotis, with a free plan and a free facade, ribbon windows and a roof terrace. 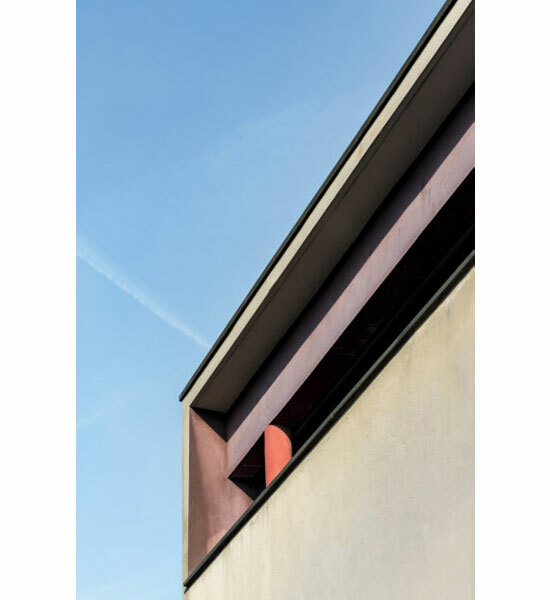 The house is also constructed from reinforced concrete, with a western facade lacking in ornament, described by the agent as ‘an expanse of render and balanced fenestration interrupted by the protruding void of the internal staircase’. The house, which sits back from the road, is entered through a car-port with space for four cars and with access to a large double garage. 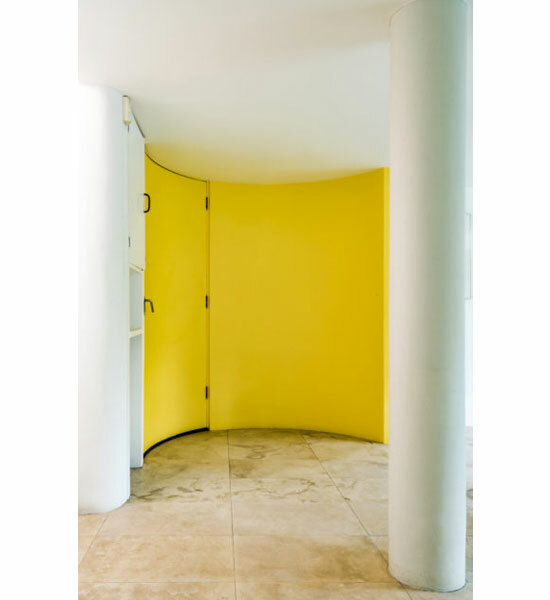 A curved front entrance has access to and from the garage on one side and to a shower room and the first of the living areas on the other. 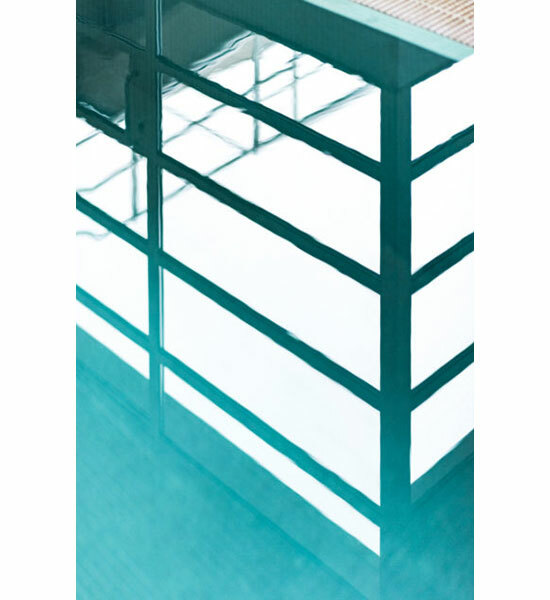 Sliding doors open to the swimming pool. 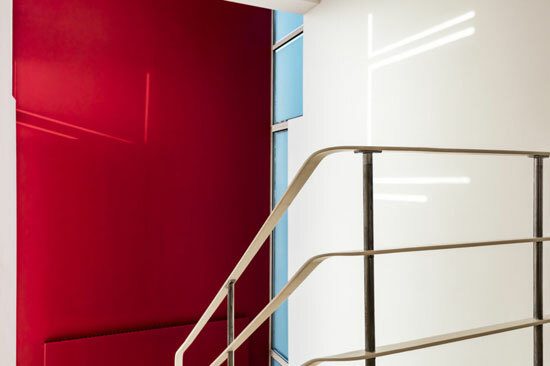 The central staircase retains original steel balustrade and strips of glazing on either side, which ‘cast wonderful patterns of light onto a soaring maroon wall’. The first floor is very much an open plan area with ‘enormous’ living room with a wall of glazing on the east side and with two sliding doors to the large first-floor terrace. Modern additions include uplighting concealed within the rim of a raised portion of the ceiling over the living area, and a lacewood-veneered ‘floating wall’ supporting the slate surround of a minimalist gas fire. Two further living rooms take up the south side, along with a bathroom and a further separate guest cloakroom. The suitably high-end kitchen has been updated and expanded from the original, now taking in the former maids’ quarters, and is open to the living space. The second floor has an ‘expansive’ L-shaped master bedroom with walk-in dressing room, en-suite bathroom and a further separate shower room, along with a glass sliding door opening onto a ‘private and substantial’ terrace overlooking the custom-designed garden with paving and lawn sections that reflect Picasso’s La Femme Couchee. A corridor links the master bedroom with two further bedrooms on the upper level, both with access to the external balcony and the terrace, and individual bathrooms. Regarding the upgrades (and apart from those already mentioned), the aluminium windows have been replaced with ‘more slender sections in steel’, and the original colour scheme was reinstated with pale mushroom for the principal face, off-white for the projecting stairwell, red for the columns, dark brown on the curving wall to the garage and above the second-floor glazing, and a bright yellow for the front entrance. 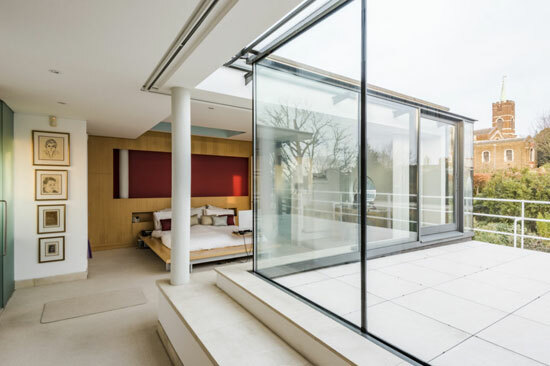 The house now also includes underfloor heating with full Trend BMS control, Lutron lighting, air conditioning to the bedrooms and Sonos systems in five areas. 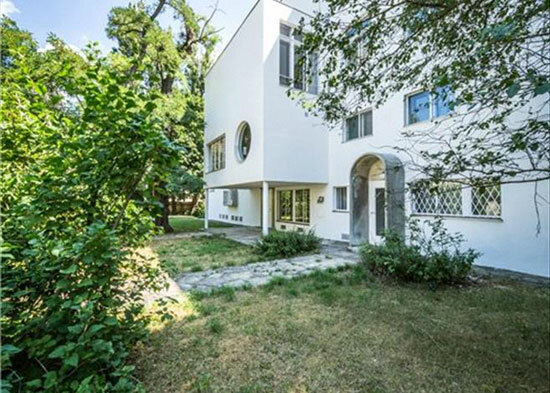 So in essence, the original house reworked for the 21st century, if that makes sense to you. There’s a reason why RIBA gave the work an award. As for the price? Well, you might want to take a deep breath first. 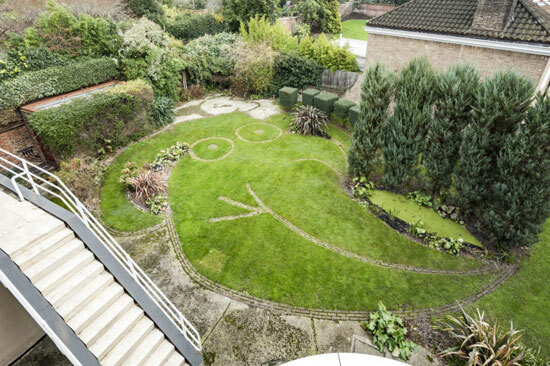 This one is on the market for £10,500,000.